Our bespoke bi-folding doors ensure that you as a homeowner have the opportunity to choose an option that not only suits your taste & budget but will also enhance your property. 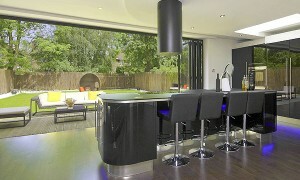 They will transform your living space by bringing the great outdoors right into your home. With their flexible and practical aspects bi-fold doors help to create an open space for both living and working environments. 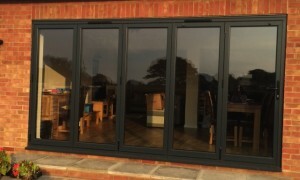 You will be sure to get the ‘WOW’ factor when people visit and our sliding folding bifold doors definitely guarantee a lasting impression. 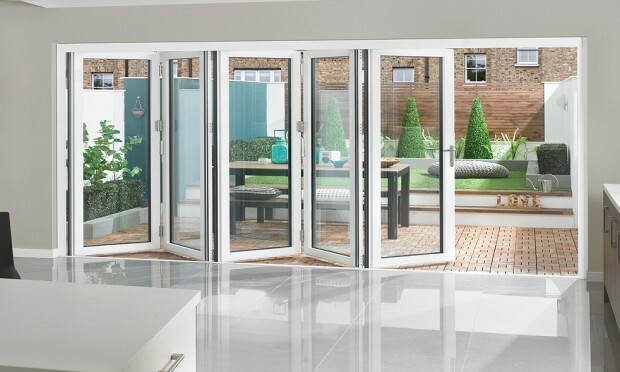 Bifolds not only look good, but will provide heat retention too with their thermally broken polyamide profiles, keeping your living or work environment warm ,so its a win-win situation. We pride ourselves on our exceptional customer service and our team members are always courteous and respectful, and will treat your home with the same respect that they would their own. We are always in the Hampshire area so why not let us give you a quotation, our highly knowledgable team are on hand to help you where ever we can.